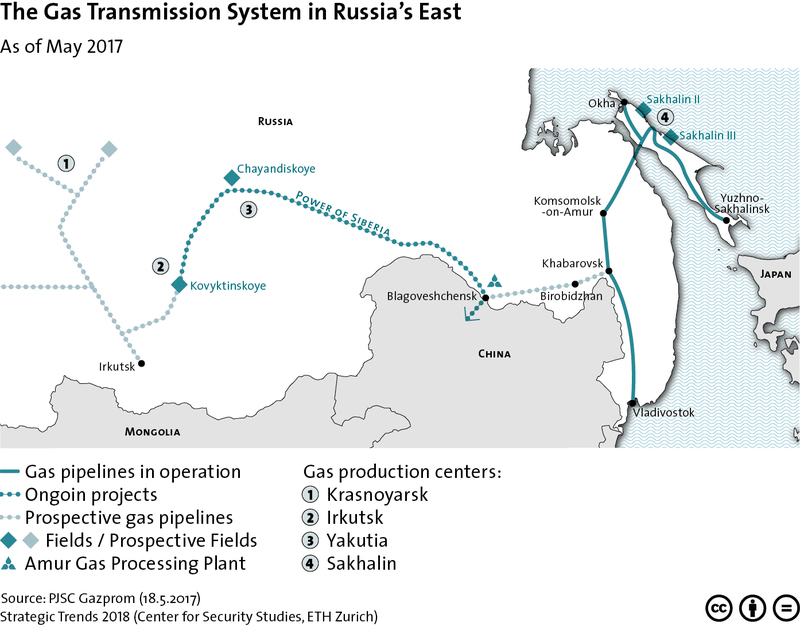 This graphic maps current and proposed Russian gas pipeline projects in the country’s East, including the ‘Power of Siberia’ pipeline which traverses the Russian-Chinese border. For more on the Sino-Russia relationship, see Brian Carlson’s chapter for Strategic Trends 2018 here. For more CSS charts, maps and graphics on natural resources, click here. 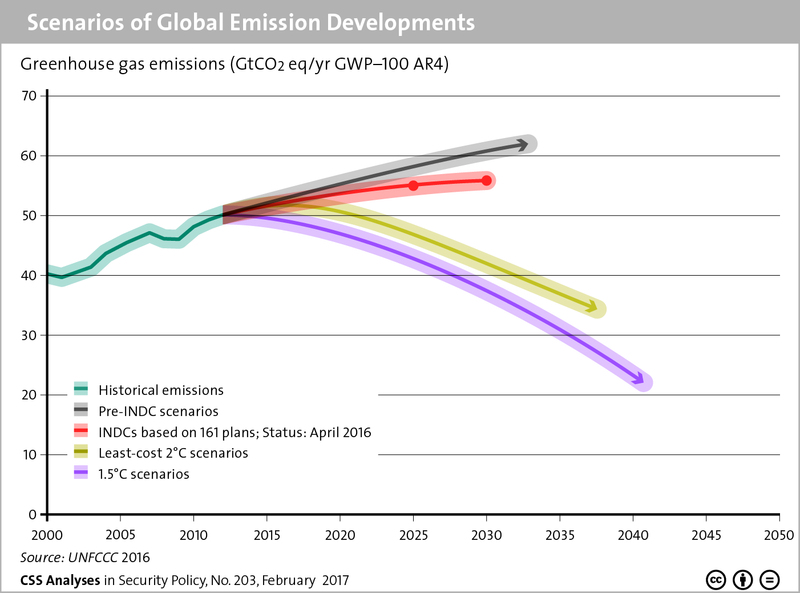 This graphic charts global emissions scenarios based on existing trends and increasingly ambitious climate targets. For more on how the Paris Agreement fundamentally realigned the structures of international climate policy, read Severin Fischer’s CSS Analyses in Security Policy here. For more CSS charts and graphics, click here. 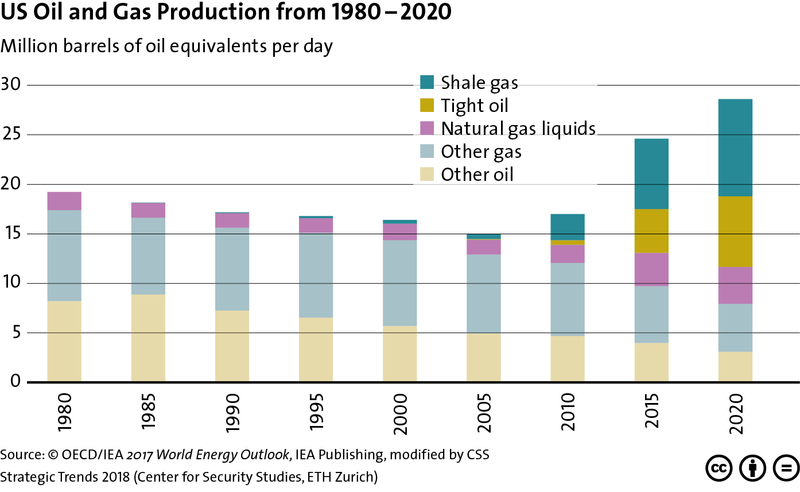 This graphic charts US oil and gas production from 1980 to 2015 and forecasts production up to 2020. For more on the interplay between technological innovation and the geopolitics of energy, see Severin Fischer ‘s chapter for Strategic Trends 2018 here. For more CSS charts, maps and graphics on natural resources, click here. 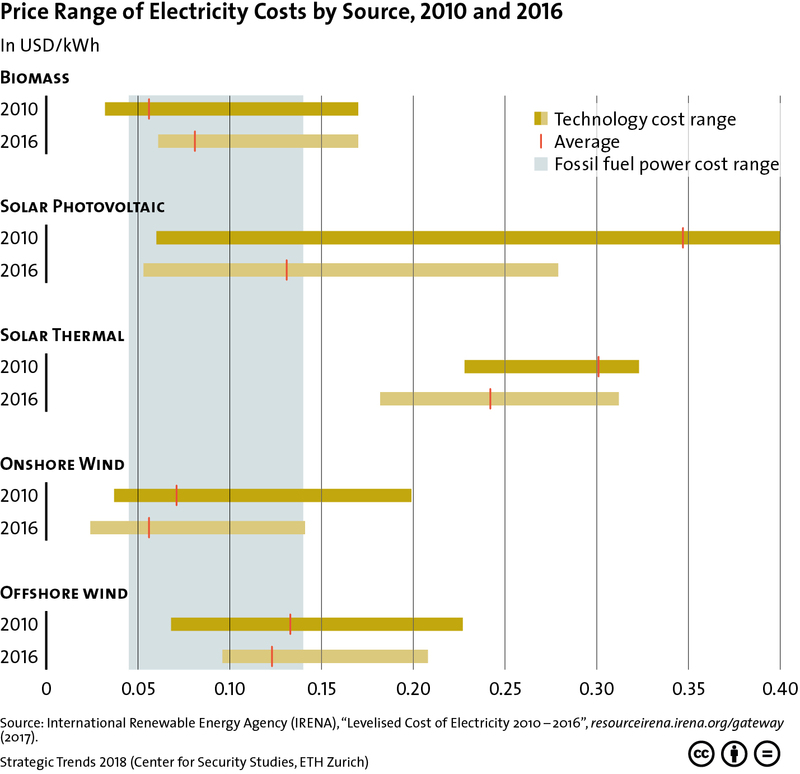 This graphic contrasts the price range of electricity costs stemming from renewable sources with that of fossil fuels for the years 2010 and 2016. For more on the interplay between technological innovation and the geopolitics of energy, see Severin Fischer’s chapter for Strategic Trends 2018 here. For more CSS charts, maps and graphics on economics, click here. This graphic maps key indicators of the oil market in between 2012 – 2017. 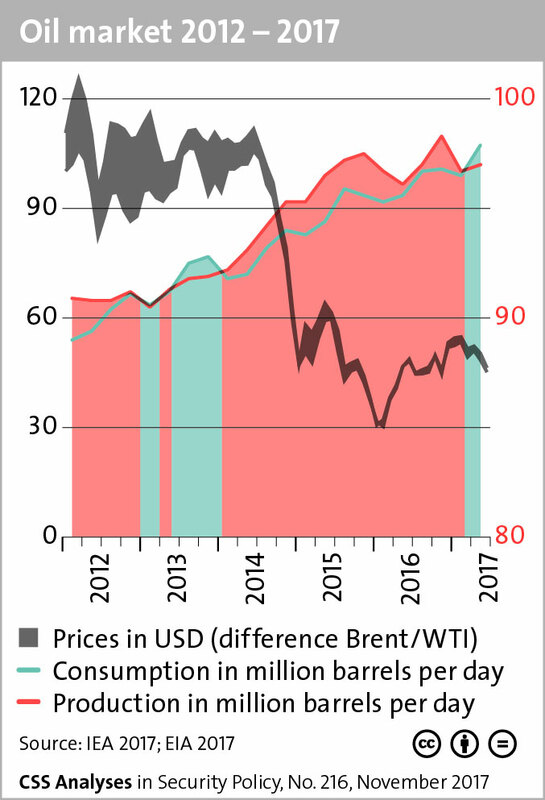 For more information on which trends will shape the oil market, check out this CSS analysis by Severin Fischer. For more graphics on natural resources, check out the CSS’ collection of graphs and charts on the subject here.